Gerry Mattia has been associated with TRI Corporation since 2013 and with GE’s John F. Welch Global Leadership Center (better known as Crotonville) since 1989. 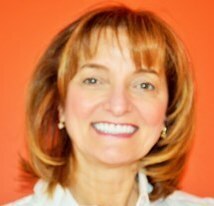 Through Gerry Mattia & Associates, Inc., she specializes in design and delivery of leadership and team development programs along with a variety of creative management training techniques. These programs assist leaders in creating and maintaining high-performance teams in the workplace. Gerry also trains leaders in facilitation skills, change management, process improvement, presentation skills, project management, and with building environments that produce employee commitment and collaboration. She is also an executive coach, listening, guiding, advising and building the necessary skills to be a strong competent leader, and she has conducted her programs in locations throughout the world. Gerry has taught a number of Crotonville’s core programs, which cover a variety of leadership topics and corporate initiatives for new and advanced leaders, executives and their customers. She also teaches the Change Acceleration Process (CAP) and has the rights to use and deliver GE’s famous WORK-OUT program. She has served as project manager for their highest-level leadership program, Executive Development Course. Gerry also designed and delivered the Global Management People Program for General Mills. She is involved in a number of Dell programs, from leadership topics to simulations. She is certified in MBTI and delivers many other leadership-style instruments.